The Nintendo Switch has seen a fair share of ports and remasters since launch and it doesn't look like that will be slowing down anytime soon. Capcom has announced that it's fantastic RPG Dragon's Dogma: Dark Arisen is coming to the Nintendo Switch. While a remaster was released on PC, PlayStation 4 and Xbox One, it's unknown what improvements will feature in the Switch version. We enjoyed Dark Arisen on PC and in our review stated that "when it hits its stride, it’s as good as any RPG available, and even offers up a few new ideas to help distinguish itself from the pack." I only ever played the first release on PlayStation 3 all the way back in 2012, so I'll be picking this one up for Switch. 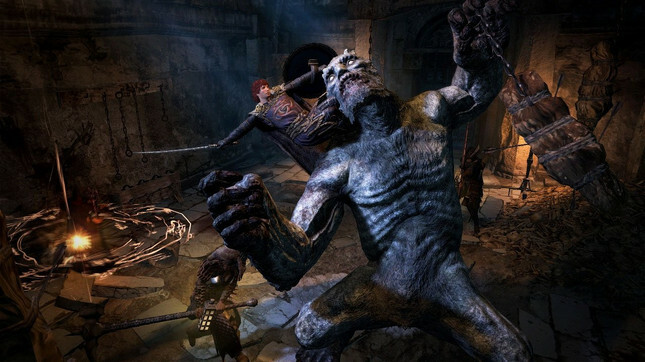 Dragon's Dogma: Dark Arisen is set to release on April 23 on the Nintendo Switch.